Consuming honey lemon water is one of the most famous natural remedy. The beneficial effects of honey and lemon combined in one helps the body in many ways. It is one of the healthiest drinks that can be consumed on a daily basis. 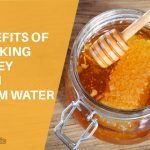 How to Take Honey with Lemon Water? What Happens to Your Body When You Drink Honey with Lemon Water? What is the Best Time to Drink Honey and Lemon Water? Boil a cup of water and allow it to cool down. Add a teaspoon of unprocessed honey. Stir well and dissolve. Squeeze the juice of half lemon into the honey water and stir it. This drink increases stomach acid production and bile secretion that aids in digestion. It eliminates the excess water from the body and helps in maintaining the water balance of the body. It detoxifies the body and increases the metabolism. It removes the irritants from the body and has antibacterial property. The immunomodulating effect of honey helps in boosting immunity of the body. It helps in thinning the mucus and hence reduces the cough. Early morning energy is required to boost the body system and this low calorie drink is the perfect and healthy choice due to the presence of natural sugars, amino acids, vitamins and minerals as well. Drinking this solution increases stomach acid secretion which aids in breaking down of food material. This helps in improved bowel movement. Lemon-Honey water aids in eliminating excess fluid from the body which prevents any inflammation and also helps to lower hypertension. 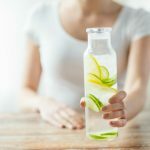 Drinking honey lemon water detoxifies the body by making it a great liver tonic that neutralizes the harmful free radicals present in an individual’s body. Intake of warm honey lemon water not only increases metabolism but eliminates all toxic waste present in the human body which can be stored in the fat tissue. This warm drinks improves blood as well and burns the fat when taken on a regular basis. 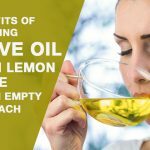 Oil controlling properties present in lemon removes the unnecessary oil from the skin’s surface. 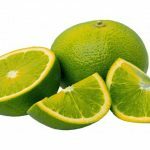 Other toxic chemicals and free radicals present in the digestive system are flushed out by the presence of citric acid hence improving the skin tone and also making the skin more clear. The therapeutic properties of honey not only keep infections and diseases away but also this honey lemon water solution helps in speedy recovery from any health issues. Honey has antimicrobial properties which when clubbed with the diuretic effect of lemon juice can help eliminate any unwanted substances such as stones from the body. This solution prevents from any infections being formed and ultimately due to improved bowel movement aids in constipation relief. Boil the water and allow it to cool. Add the juice of half lemon into it. Add the 1 tablespoon raw honey to this mixture. Consume this mixture on an empty stomach. Repetitions in a day: Once daily early morning. Quantity: Consume one glass of this mixture daily. 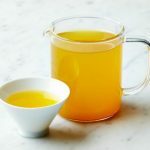 The best time to have honey and lemon juice in hot water is early morning on an empty stomach before breakfast. There are no side effects. Sometimes there can be chances of heartburn, tooth erosion, frequent urination and dehydration due to lemon juice in water. Honey with lemon water is a natural remedy for many ailments. 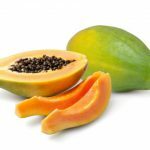 Consuming this drink every day on an empty stomach is beneficial to the body.